How about Italian for lunch? 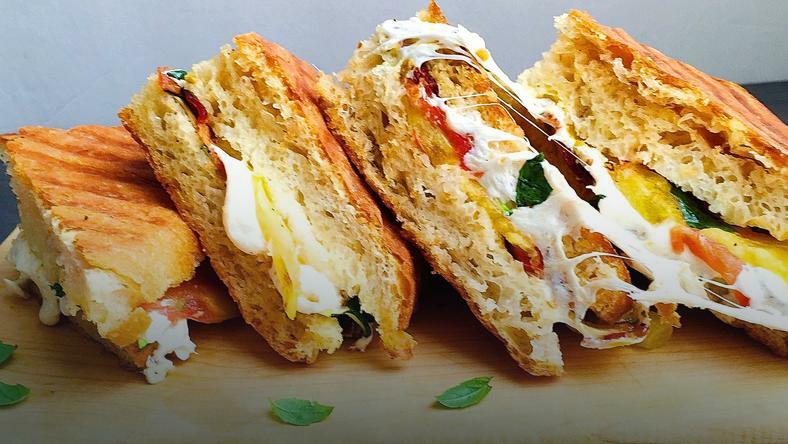 Check out this Panini sandwich recipe that you can make at home. Spread bottom half of bread with pesto. Top with tomato slices, chicken, and cheese. Top with bread. Preheat panini press or toaster. Place sandwich in panini press and cook 3 to 4 minutes or until cheese melts and bread is toasted. Cut into quarters, and serve hot.